An outrageous international relations incident took place in Ankara on December 19th. The Russian ambassador to Turkey, Andrey Karlov, was assassinated by Mevlut Mert Altintas, a Turkish police officer. Among a number of political and security questions, three main pointed questions over the incident must be answered. Why were there no adequate security measures by Russian security services, especially amid constant provocations, rallies and threats against the Russian diplomatic staff in Ankara? Furthermore, Vladimir Putin said that “considering the specific developments there”, it was possible to arrange, with a host state, for tightened security. Why were there no adequate security measures by Turkish security services? 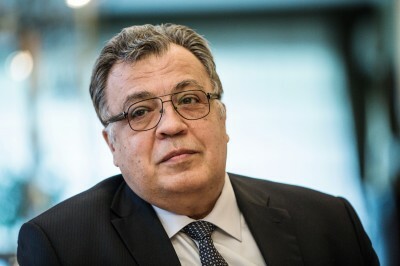 After shooting Karlov, the attacker had about a minute to chant slogans without interference or even the appearance of Turkish security personnel or policemen. Altintas did not fire at other people and had been at the scene of the crime until he was liquidated with massive fire. When police and security services want to investigate a crime, especially a much-publicized crime, they always seek to capture a perpetrator alive by any means. But Altintas received over 20 bullets and was killed. Erodgan’s words that the attacker was killed because he had a bomb aroused a special perplexity because the whole world saw a video in which Altintas was not able to have any bomb bigger than a grenade under his unbuttoned suit. Why did Turkish security services allow the attacker to remain at the scene of the crime with other people for a long time? The situation looked as if he did all that was needed and was waiting for arrest. Who would have been interested in this? SF expresses condolences to Karlov’s family and admires his bravery.